From its borrowed liturgical beginnings circa AD37-45, by about A.D. 400-500, the Church in the British Isles, had evolved a distinct version of the Divine Liturgy, kown to it as the Liturgy of Saint John (the Divine). Today we have a number of geographical versions of that Liturgy as it existed during the first Millennium. All are local versions of the basic Liturgy, a Liturgy which was quite distinct from the Roman Liturgy and the Eastern Liturgies. The indigenous Liturgy of the British Isles developed throughout the first millennium, driven by differing forces according to its location. By the middle of the millennium, it was, in the eastern part of Britain undoubtedly being affected by the incoming Angles, Saxons etc. The "Celtic-Saxon" Church in the eastern and southern British Isles also evidenced changes in architecture and ways of doing things which carried over even after the papally inspired invasion by William of Normandy just after the Great Schism. The result of the Synod of Whitby meant the somewhat patchy introduction of many Roman liturgical and ecclesiastical usages into southern England and the Midlands, These generally did not permeate so well to northern and western England, Cornwall, Scotland, Wales or Ireland. Nevertheless, in England the Church was still predominantly local in character and distinct from its Latin counterparts. The Liturgical customs of the Celtic-Anglo-Saxon Church were widely adhered to and in fact, conserved, particularly at Sherborne Abbey in the west of England. These liturgical customs were gathered into the local variant of the Liturgy and eventually became known as the "Sarum Liturgy" after the Latin name for Salisbury Cathedral where they were first expounded. It is important to remember, when looking at the Sarum Liturgy that it is essentially a pre-Schism Liturgy which had continued to develop as the predominant Liturgy beyond the Great Schism. In the Western Church in the two centuries immediately prior to the council of Trent, Sarum had become influential beyond the bounds of its usage, and was regarded as the proper standard of ceremonial for anyone not using the pure Roman liturgical Use. It was expected that the celebrating Priest and his ministers should sing Prime, the Vesting Chapel Office and carry out the preparation of the elements (in Sarum usage, called 'the Sacrifice' from this point onwards), then sing the Litany in Procession before beginning the Liturgy of the Altar proper at the end of which, in the course of the procession back to the Vestry Chapel, the Priest sang the Last Gospel, the Eulogion bread was blessed and then, with his ministers, he sang the final Divesting Office in the Vestry Chapel. In a monastic church, they then returned immediately to sing the Office of Sext. The Sarum church has a Rood Screen which is partly open, allowing the actions at the Altar to be seen (although in the great Sarum Cathedrals, the Screen was later usually fully closed in). A traditionally laid out church has the Rood Screen crossing the three aisles, forming a Vestry Chapel usually on the north side of the Altar and a Lady (Our Lady - or Preparation) Chapel on the south side of the Altar, thus creating three doors through the Screen. The Sarum Liturgy has the Offertory Procession bringing the prepared elements solemnly from the Preparation Chapel to the Altar, the custom known in the East as the Antidoron is there in Sarum where it is called the Eulogion, and of course with bowing instead of the Roman genuflecting. 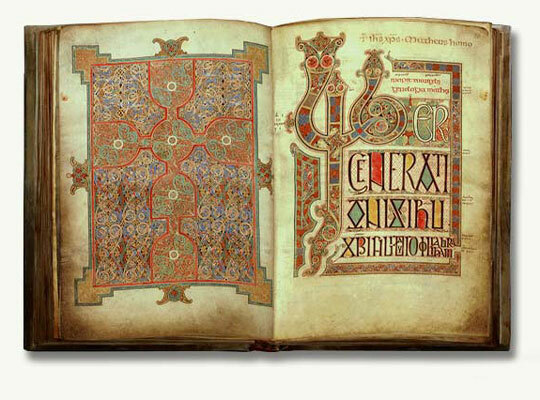 The Sarum Liturgy in its earliest form, is essentially the fully developed Use of the Church in the British Isles prior to the Great Schism and gathered in it the ceremonial traditions of the earlier versions of the local Liturgy which had evolved in the preceding nine hundred years of its existence. The Celtic (British Isles, western France and north western Spain) Church seems of a more eastern Empire origin than anything, given the differences of organisation, Liturgy, monasticism etc., which divided it from Rome. Galatia, Galicia, Gallican, Gaul, Gallic and Gaelic, names covering the crescent from modern Turkey through Poland, France, Spain, England to Scotland, Wales and Ireland, all mean Celtic. It is true to say that the Sunday of Christianity is much debased today and even for those churchgoers who turn up, it seems to be a chore, to be got through in the most informal dress and as rapidly as possible in order that the rest of the day might be enjoyed with other matters. To a large extent, for much of the first millennium, for one of the many genuine, devout Christians of all classes, the place to be of a Sunday, was the church where, for a brief period each week, they endeavoured to recreate as best they had means to, the worship of Heaven, here in earth. That is precisely what the celebration of the Divine Liturgy is or ought to be. We are doing that which Christ Himself directly instructed us to do. Here, in the Divine Liturgy, we Orthodox Believers may lose ourselves in Christ. We may lose ourselves in the entrance hall of God's Heavenly Kingdom. Here, we may, as heirs, look at some hint of our inheritance to come. Here, we may have a brief respite from the temptations which distract us from the character-formation that God requires of fallen man before we can be taken into union with Him. Here we can savour the things to come and here, we can meet directly with the Master and be cleansed, strengthened and comforted by Him in preparation for the week of trial and temptation before us. Here we have joy in God. Without this, he who would be a genuine Orthodox Christian has a very difficult task ahead of him indeed. 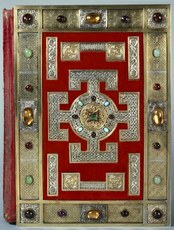 Front cover of the Lindisfarne Gospels The Lindisfarne Gospels is an illuminated Latin manuscript of the ©The British Library Board. 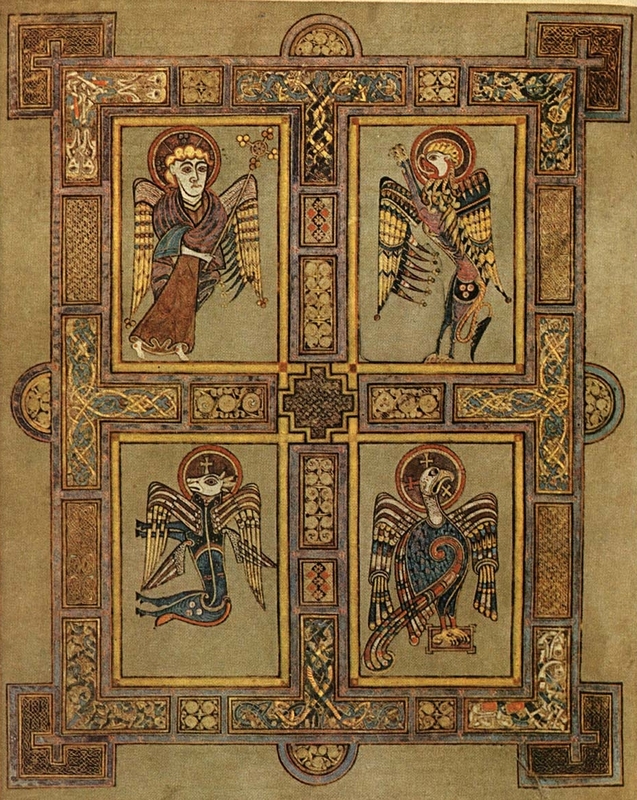 gospels of Matthew, Mark, Luke and John, produced in Lindisfarne .................................... Northumbria in the late 7th century or early 8th century. Article published in English on: 2-11-2009.